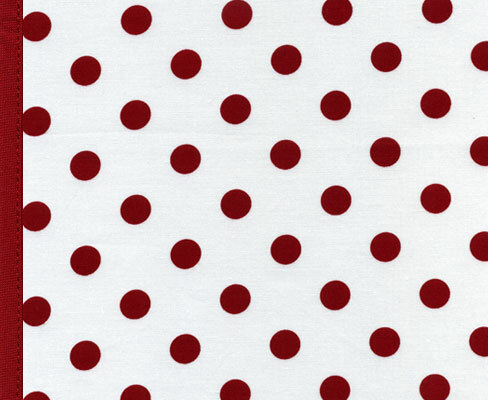 The "gotta have" polka dot. Ruby dots, ruby edging. Babee Bib is lined in Rally Red.